Atlus released a new teaser trailer of their upcoming role-playing game Persona 5: The Royal for PS4 consoles. Back in December 2018, role-playing game Persona 5 suddenly started getting traction with the inclusion of its character Joker to crossover fighting game Super Smash Bros. Ultimate and a speculation of the title coming to Nintendo Switch ensues. Fans then literally lose their minds upon noticing that developer/publisher Atlus have registered P5R.jp domain, knowing something is coming up. 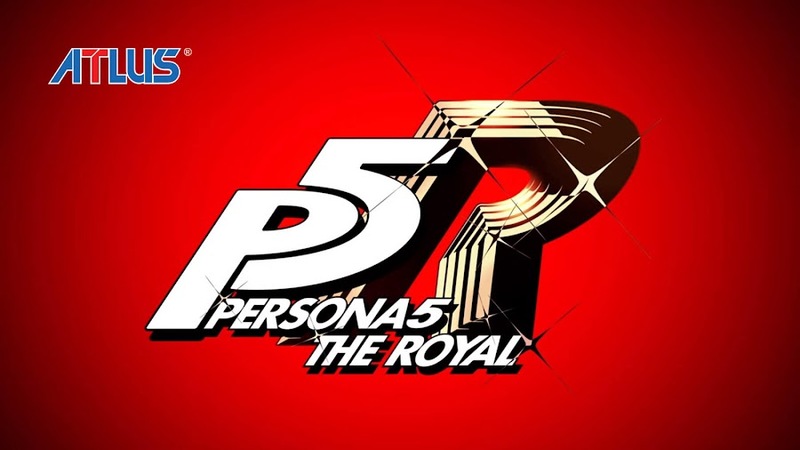 Recently, they come up with a new video revealing the title being Persona 5: The Royal. Watch out the short teaser trailer that spills out more mysteries than providing clues of what to expect up next in less than a minute! The animated teaser trailer above heralds a new RPG title that is a follow up to P5 and coming exclusively to PlayStation 4. Apparently, there will be a new playable female character that is likely to take lead in upcoming Persona spin-off. A voice asks the woman that what she thinks of the secret group of "Phantom Thieves" and in response, she states that while helping people is good, these vigilantes are not actually helping people because their method doesn't work. Immediately dismissive of the established protagonists, this mysterious woman sure is packing some surprises. However, at least we know now that for P5R is not going to be a simple re-release of original P5 for Nintendo or Sony console. Atlus promised to deliver more information on Persona 5: The Royal at a two-day long Persona Super Live concert in Tokyo next month, on April 24. Ultimately, what they previously promised have turned out to be an announcement of another announcement. With new dungeons, jobs and raids, upcoming Shadowbringers expansion for Final Fantasy XIV will arrive July 2, 2019. The enigmatic world of popular massively multiplayer online role-playing game Final Fantasy XIV is about to grow further with its upcoming expansion Shadowbringers, which was officially announced back in November 2018. 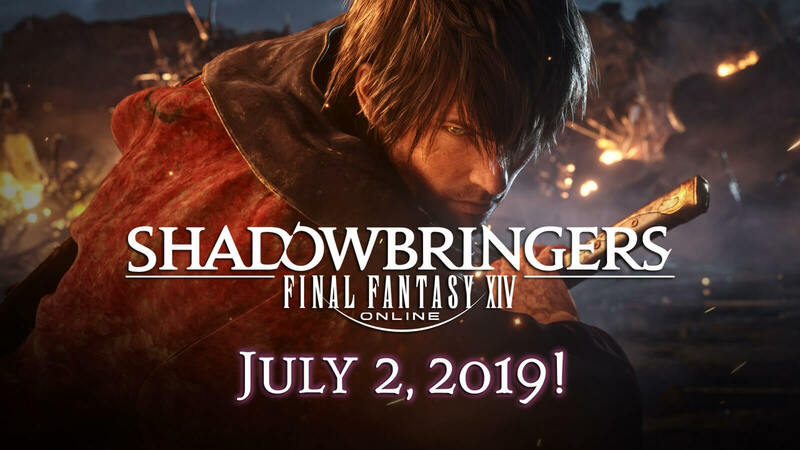 Following the success of early releases like Heavensward (2015) and Stormblood (2017), developer/publisher Square Enix has revealed the third one through director/producer Naoki Yoshida, which now has a release date set for July 2, 2019. Although an official announcement trailer was already dropped initially, another extended version is released and we got that right here. FFXIV raises level cap from 70 to 80 as battle against Garlean Empire rages on while including new dungeons and zones. Alliance raid will arrange a crossover themed on NieR: Automata titled YoRHa: Dark Apocalypse and may give away 2B armor or skin. 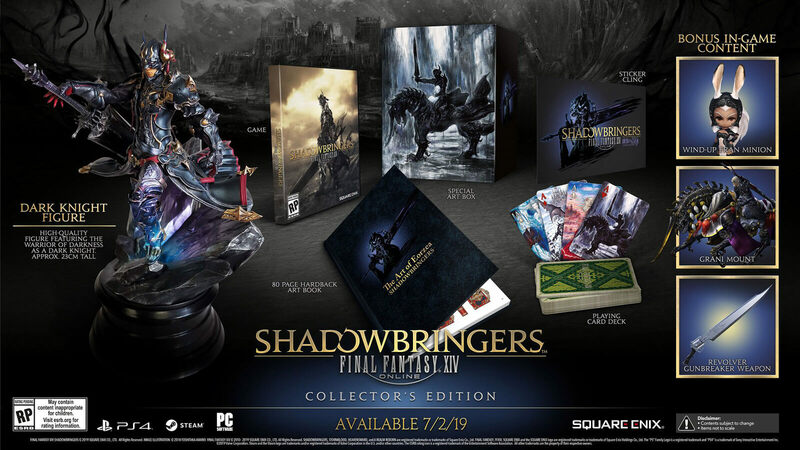 Standard Edition of Shadowbringers is priced only $39.99, whereas Collector's Edition will cost you $199.99 for physical copy and $59.99 for digital download. Square Enix is also offering starter edition of this classic MMORPG worth $19.99 to Twitch Prime subscribers for free. New Job Gunbreaker and more! One of the newest jobs that come to FFXIV: Shadowbringers is called Gunbreaker, a gunblade welding tank class. Current plan of development states that the job class starts at level 60 but that is still subject to change according to Yoshida. You probably know already that another unique job is going to be introduced after update 4.5 and it is Blue Mage, inspired from the tradition of Final Fantasy V. This one will arrive long before the release of the expansion and from a level cap of 50. 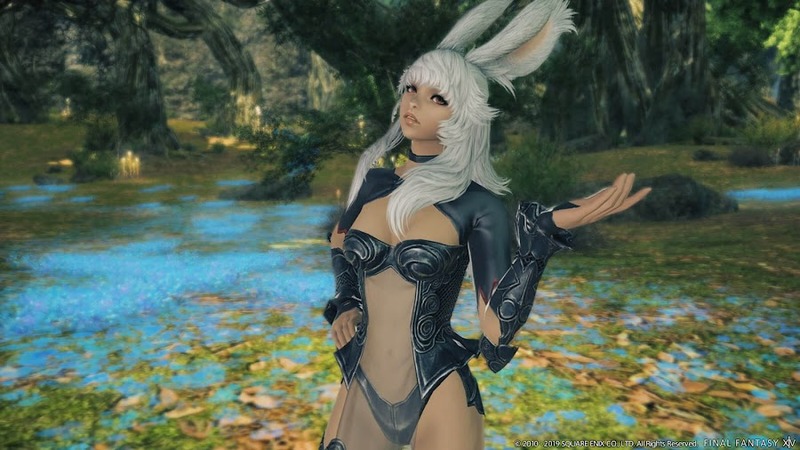 New Playable Race "The Viera"
On the FFXIV Fan Fest in Las Vegas, Naoki Yoshida was wearing a t-shirt featuring an image of Bugs Bunny standing beside a motorcycle and people were quick to predict humanoid rabbit race of Viera folks are joining as new playable race. This peaceful race from the land of Ivalice and the short clip above displays a couple of variation of customizable outlook wearing their signature outfits. As they keep running around and wandering, we see no male members present within them. 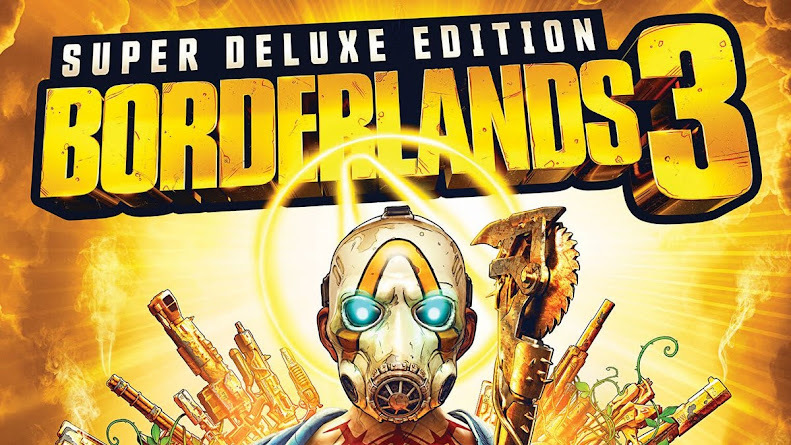 Longtime series fans and other casual players can place their pre-order from February 6 and it would allow them an early access on June 28. Also, a Baby Gremlin minion and an earring come along with your copy as a special benefit to increase 30% bonus experiences up to level 70. 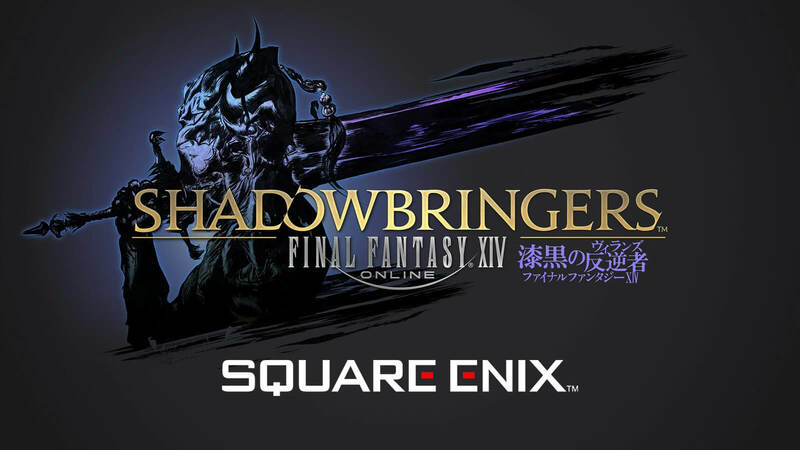 Final Fantasy XIV is already available to play on Mac, PC and PlayStation 4 with game's third expansion pack Shadowbringers launching on these platforms as well on July 2, 2019 holding promises for new adventures for everyone to enjoy. One of the best turn-based JRPG title from Square Enix, Dragon Quest 11 will be coming to Nintendo Switch on 2019. 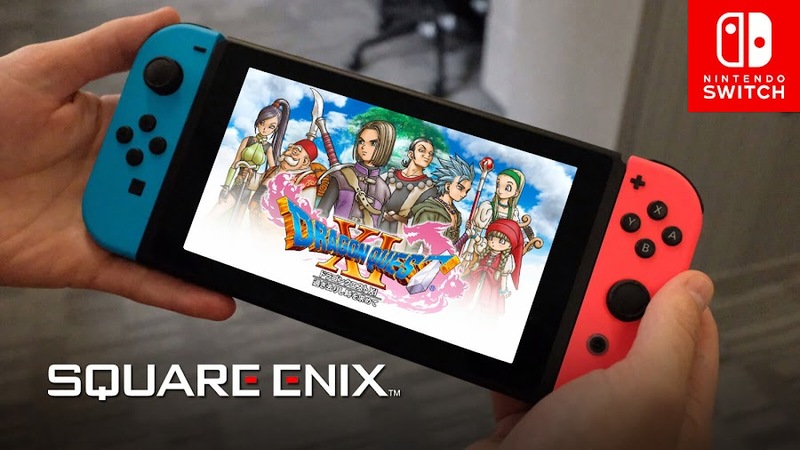 The latest release from the long-running turn-based Japanese role-playing game series Dragon Quest by developer/publisher Square Enix was Dragon Quest XI, which came out in Japan for Nintendo 3DS and PlayStation 4 on July 2017. 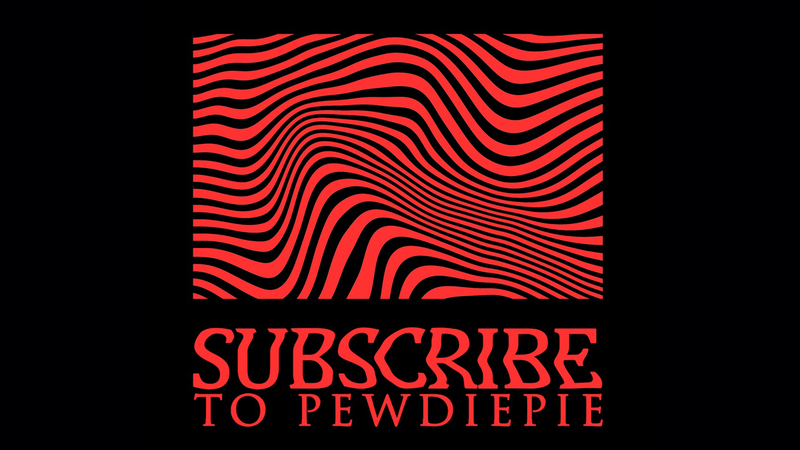 September 2018 saw the worldwide release of the game on PC and PS4, garnering mostly positive feedback from critics and fans alike for design and gameplay. Recently at the Jump Festa event this weekend, a Nintendo Switch is announced for 2019. Titled Dragon Quest XI S, the game is coming next year on Japan and we have the first teaser trailer for it below. 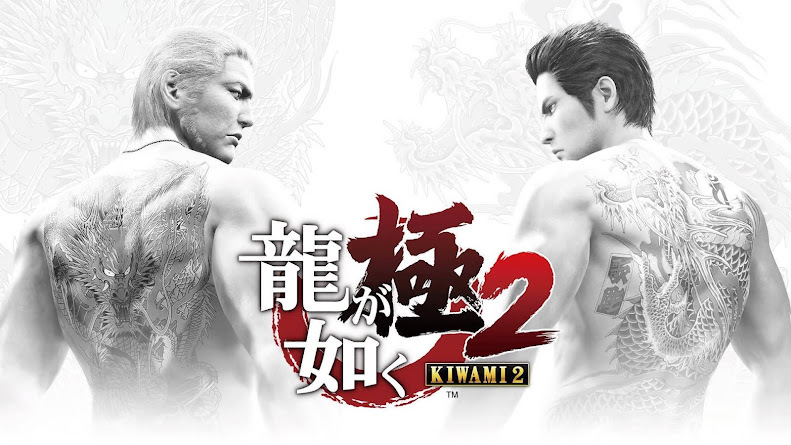 In its original release for Japan, the title didn't include any voiced characters but when it was brought over to a broader audience, they added English-language voice over alongside a bunch of new gameplay mechanics. Also, the Switch version will add some aspects that will alter the ending of the game because players will now be allowed to choose their bride and it is not locked to a single marriage choice. Players can also decide to live with two male characters Erik or Hendrik if they want. More details on Dragon Quest XI S will be revealed later on a Square Enix live-stream in January, when they will also share the official release date for the title. We are currently guessing for a possible release window for April 2019 but nothing is set in the stones yet. It is still unclear that when there will be a North American release of the game since they haven't given much details of the Japanese release but given that the original game took nearly fourteen months to see a worldwide release, it is not coming for the rest of the world anytime soon. 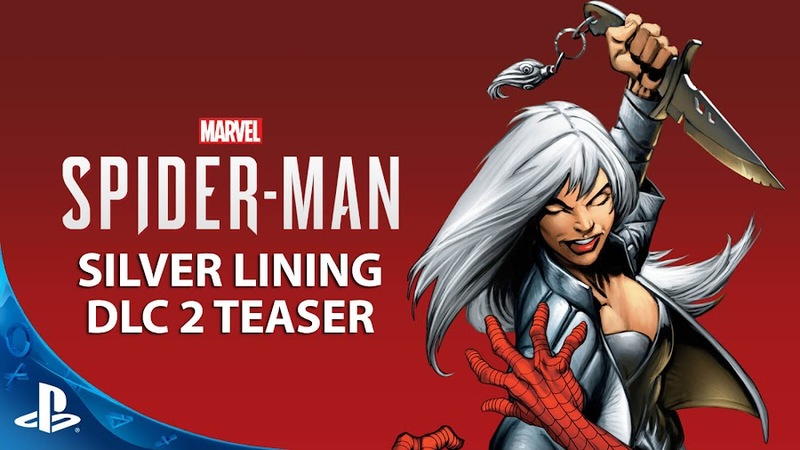 Marvel’s Spider-Man: Silver Lining DLC features Spider-Man's suit from upcoming Spider-Man: Into the Spider-Verse film and Silver Sable returns. Even though Marvel’s Spider-Man for PlayStation 4 couldn't win big time at The Game Awards 2018 despite having a bunch of nominations and high hopes from fans, it sure won in 3 different categories on the Game Critics Awards and at Gamescom 2018. So, 2018 wasn't particularly bad for the commercially successful action-adventure game from developer Insomniac Games and publisher Sony Interactive. Things are going to get better by the end of the month as the third chapter of The City That Never Sleeps DLC series is coming on December 21. To get a glimpse at what we are heading towards in the latest chapter "Silver Lining", a brand-new teaser trailer is dropped. The Heist DLC has introduced cat burglar and an old accomplice of the hero, Black Cat into the story, then super-villain Hammerhead and the Maggia came to light in Turf Wars and now Silver Lining brings back mercenary Silver Sable into the fray. If you have completed the game by now, you have met her already and to give you more of her, Insomniac Games has given her a reason to come back. She goes after Hammerhead to retrieve stolen tech and weapons from Sable International. Since Police Chief Yuri Watanabe is currently on administrative leave, Spidey has to deal with her alone. However, any help he can get from any unlikely allies to save New York from these complete nutjobs is much appreciated by the web-slinger. 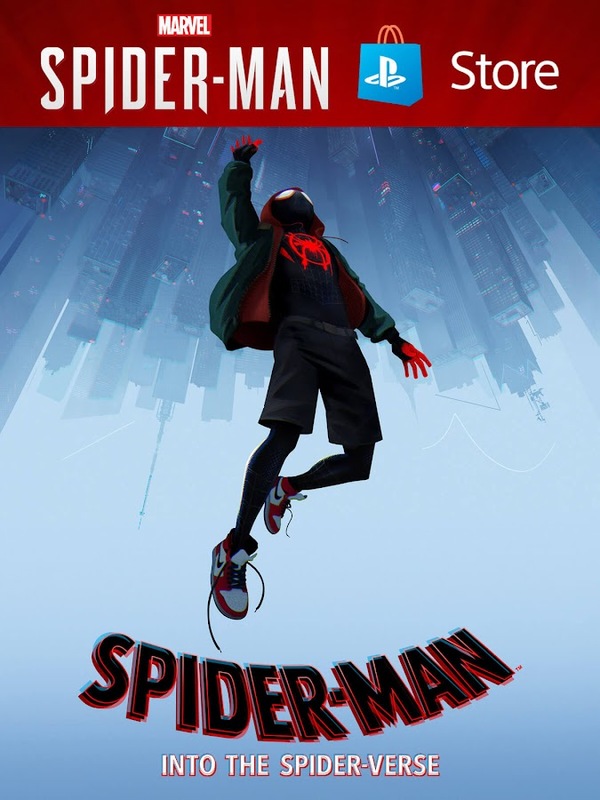 We would also like to point out that the upcoming Spider-Man: Into the Spider-Verse movie is coming out tomorrow, on December 14 and you can pre-order it on PlayStation Store in exchange for a voucher that gets you avatars, a dynamic theme and other cool stuffs. 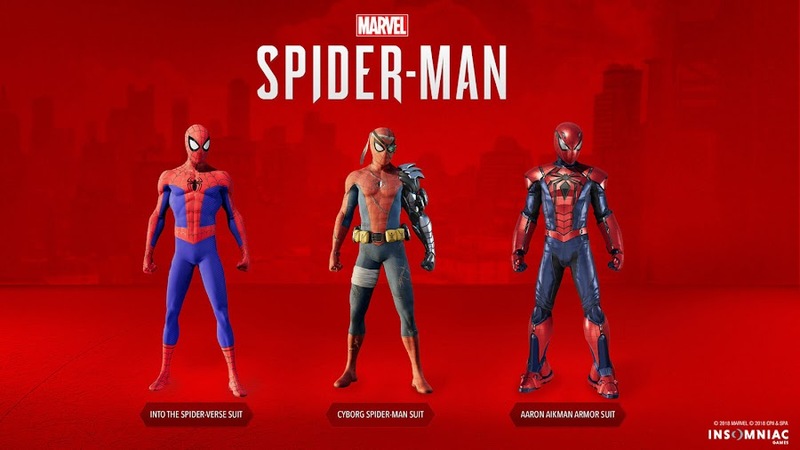 If you look closely then you will notice that one of Spider-Man's suits from the movie has made it to the DLC as newest Spidey suit. Players can also unlock Cyborg Spider-Man suit and the Aaron Aikman Spider-Armor while playing the third chapter. Silver Lining DLC 3 will be priced $9.99 only and you can place your pre-orders right now as well. In case if you have missed the previous chapters of Marvel’s Spider-Man: The City That Never Sleeps post-launch content series, you can just get the bundle for $24.99 only. Turf Wars DLC comes to Marvel’s Spider-Man with three brand-new suits for Spidey and the villain Hammerhead. 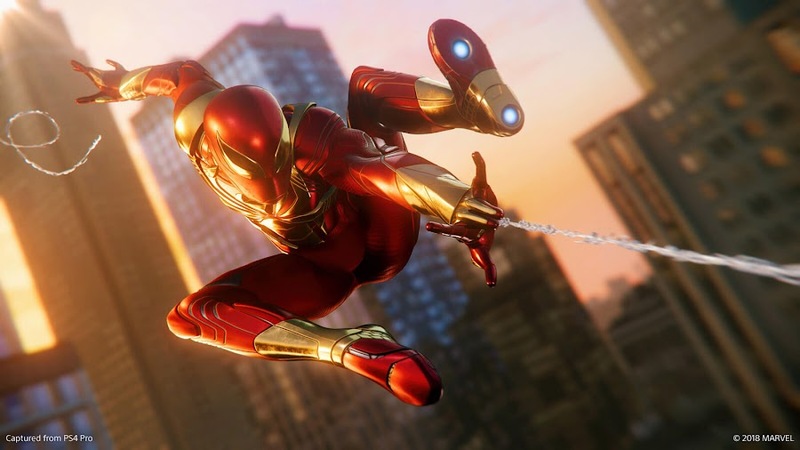 Developer Insomniac Games and publisher Sony Interactive Entertainment has been doing a great job fleshing out the world of Marvel’s Spider-Man with the first chapter of their DLC series Marvel’s Spider-Man: The City That Never Sleeps – The Heist, which offers us an all-new adventure quest. One of his classic enemies, Hammerhead is going to be part of the second DLC for PlayStation 4-exclusive action-adventure title. It also has new story missions to explore, crimes to stop, challenges to complete, trophies to earn and three new suits to try out! 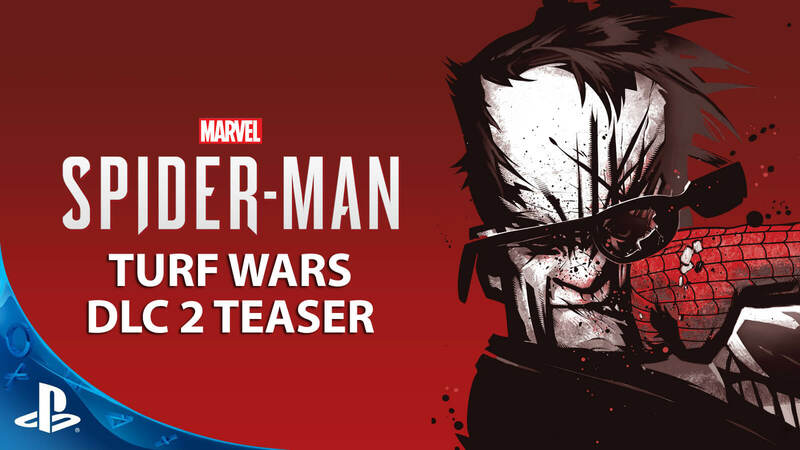 If you can spare a moment to take a look at the official teaser released for the next chapter, Marvel’s Spider-Man: Turf Wars, you will get the idea. Hammerhead is an organized crime boss who made his first comic-book appearance back in 1970 on the pages of issue 113 of The Amazing Spider-Man monthly ongoing series. As the main villain of Turf Wars, he starts a war against Dons of the Maggia. With his surgically enhanced skull and equipment from Sable International, he is seeking to restore his mob glory years by hammering down on anyone who will come in his way. Spider-Man joins team with Yuri Watanabe to put a stop at his ventures to keep the streets of New York safe. 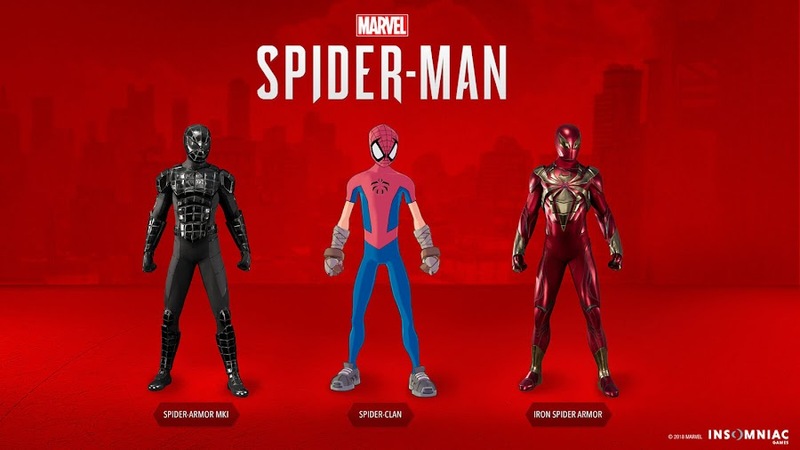 Since brand-new suits are one of the most beloved features of the game among fans, the new chapter introduces three great new suits. There is the Iron Spider suit from "Civil War" crossover event because many wanted the comic-book version. The second inclusion is the Spider-Clan Suit, taken from the pages of Marvel Mangaverse and designed in animated-style. You will also have Spider-Armor MK I, which may prove useful to use against Hammerhead in a fight. Now that "The Heist" is released and "Turf Wars" is revealed, you are left with the final chapter Silver Lining from The City That Never Sleeps series and it will launch later on December 2018. A new piece of art for the newest chapter was shared by artist Adi Granov as well. Turf Wars post-launch DLC content is coming on November 20 and will be available to purchase for only $9.99 or you can just go for the entire bundle priced $24.99 only. You can also get the Digital Deluxe Edition of Spider-Man PS4 for only $79.99, which gets you the whole package with the base game. Square Enix cancelled upcoming four DLC episodes for Final Fantasy XV. Also, game director Hajime Tabata quits the company. Back in April, developer/publisher Square Enix of action role-playing game Final Fantasy XV announced additional content for the 2016 game in a panel at PAX East, which includes four new episodes planned to release on 2019. Today, they revealed in a livestream that three of these four expansion packs are cancelled. On top of that, game director Hajime Tabata is also confirmed to have left the company after finishing his last work day on October 31. This is just too much to take in, right? 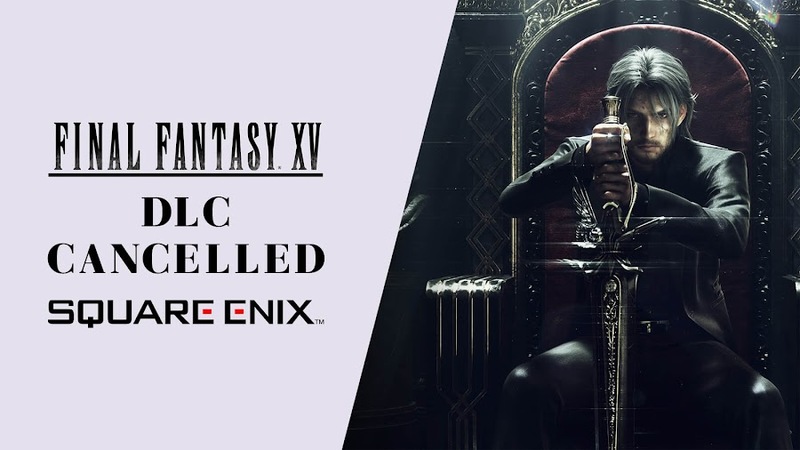 Before the unexpected official announcement, these character-focused episodes include Aranea, Ardyn, Lunafreye and Noctis were to offer side stories and an alternate finale. Except for episode Ardyn, rest three is scrapped now. Ardyn is currently scheduled to release in March 2019 and the events of this episode takes place before the story of FFXV, where players have the chance to take the role of Ardyn Izunia, the main antagonist of the game. There would also be a tie-in anime titled, Final Fantasy XV Episode Ardyn - Prologue that explores the reason behind Ardyn becoming so vengeful. We also have a preview of the episode in a form of teaser trailer here. Check this out. Luminous Productions, an internal studio of Square Enix were in charge of developing these content add-ons will now focus on developing a brand-new AAA title for global market since they are no longer tasked to the DLC episodes anymore. On director Hajime Tabata quitting the studio, the official statements mentioned him resigning back in October, probably in pursuit of founding his own company. 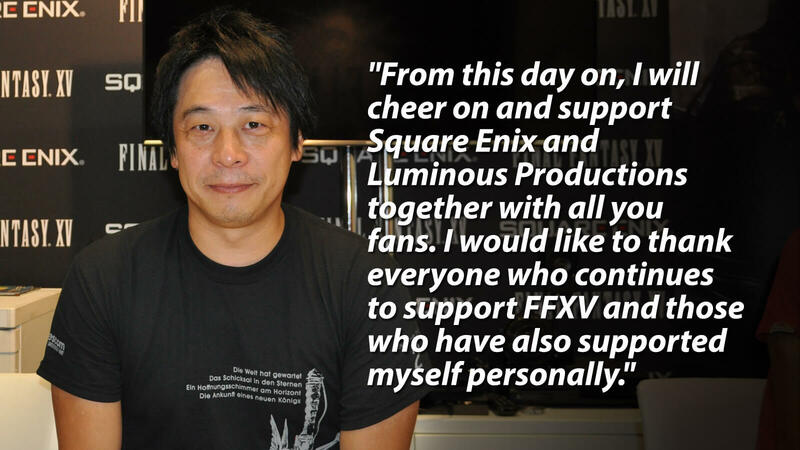 He sincerely thanked all of the loyal fans in his resignation letter for supporting the game for years. When Square Enix initially released plans for bringing more content to Final Fantasy XV, fans were convinced that the game will never end considering the title was originally announced back in 2006 before it saw release in 2016, exactly ten years later. 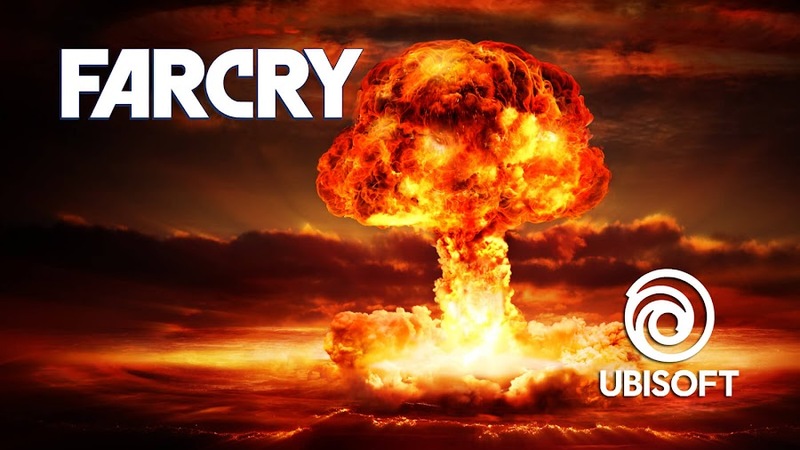 Unfortunately, that certainly is not the case at hand until further development because according to one of their earnings report, this executive decision of cancelling the DLCs resulted in a tremendous amount of loss of around $33 million.